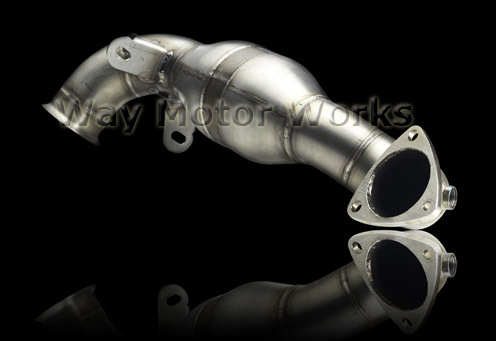 Akrapovic Exhaust Downpipe for 2007+ R55 MINI Cooper S Clubman, R56 Cooper S, R57 Cabrio S, R58 Coupe S and R59 Roadster S, R60 Countryman S. This high flow exhaust downpipe is not only a piece of art, but it's functional too. This downpipe is a direct bolt on for your Cooper S. This Akrapovic pipe uses a 100 cell high flow cat, and is made of stainless steel. Akrapovic claims 8hp and 7nm torque gains on a stock car, with modern tuning we know more is possible. It will also give you a more aggressive exhaust tone. Due to this part replacing the factory Cat this may not be legal in your state, and may cause a check engine light. Be prepared for this as it can NOT be returned for these reasons. The Akrapovic system is a piece of art. You can tell the quality of the product, just from the packaging. I installed this myself, the install isn't crazy hard, but it has some challenges. The sound form this downpipe, if amazing. I had installed this, then I changed out the rest of my exhaust to the full Akrapovic exhaust system. Wow is all I can say!!! 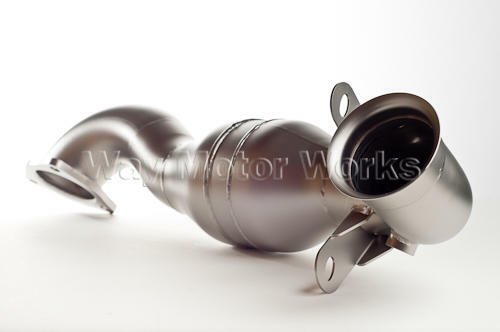 Installed these on my 2012 Mini Countryman S.Great Sound and Performance from this downpipe! This down pipe is nothing short of a piece of art. I installed it with the stock exhaust and it have it a nice deep note but not much volume. I added the Invidia Q 300 system to it and it came out exactly as I wanted. Not too loud, but you definitely know it's there. I'd have to say I expected more out of the install but it came out to be a very simple install. 2 jack stands and 2 hours later it was done.